Home/Wound Care Technology, Wound Evaluation, Wound Treatment/On-Site in the Patient Rooms with Our WoundWiseIQ Mobile App – My 4 Takeaways! I had the opportunity last week to go onsite to a Skilled Nursing Facility. To go into the rooms of patients with chronic wounds and actually take images of the wounds myself. This was an amazing and unforgettable experience! What did I learn? Chronic wounds are serious and life-threatening. And when the treatments start to work, it becomes a source of enthusiasm and hope for the nurse and the patient. I saw nurses on my visit who were excited when they saw progress in the wound healing, who became more dedicated to a specific dressing regimen for example if they are seeing results. This feeds on itself and builds confidence. The nurse is empowered by feeling as if they can take on the chronic wounds and win. Having that empowerment makes the nursing and wound care team stronger leaders. In addition, providing a new tool for your nursing team can greatly motivate each individual, when paired with proper education and training. Knowledge and information can help them be more effective and get more involved in an area that has been historically held for wound specialists. Having pictures and data in your hands when you are working with a patient enables the nurse to show the patient the results of their wound progress. By sharing imagery and progress and comparisons with your patient, they can become more involved in their care. They are also more likely to follow treatment plans when they see things are improving and realize they are part of making that happen. I saw this optimism myself on-site when patients were told their wounds were making progress. This is so uplifting to a chronic wound sufferer – we can give them hope! 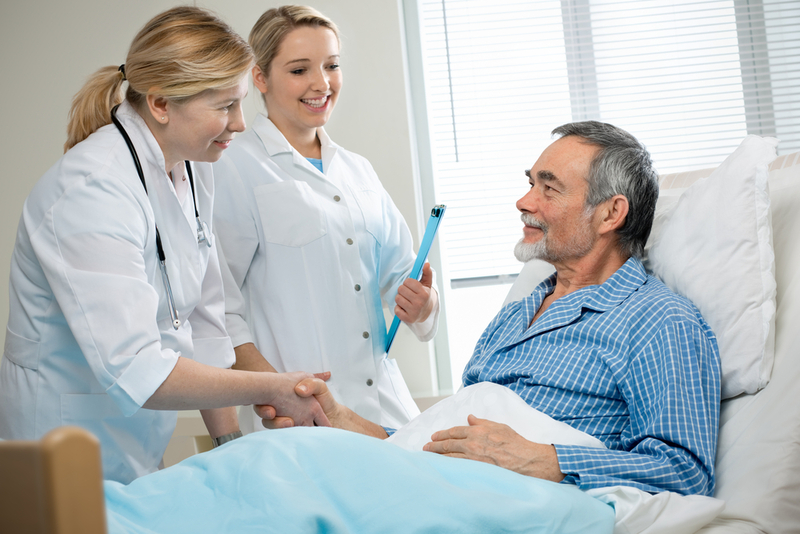 WoundWiseIQ can provide knowledge and information to the wound care team. Within seconds, our patented algorithms analyze the image more accurately and report the wound healing results to the nurse in the patient treatment room. The new information is added to the patient’s record, effectively providing easy-to-access historical data. WoundWiseIQ can be an integral part of your wound care strategy – part of your team. It can help a practice develop a wound care specialty and provide a tool that aids in diagnosis and treatment path. The end result is a stronger facility wound care team. As CEO, you are responsible for many things, but the most important question to ask is: Do my customers love our product. You do not know this unless you go down to the front line and see it in action yourself. So that’s what we did. I am so proud of nurses who take on the challenge of healing chronic wounds. My experience on site showed me that these nurses are so patient, so caring, and so talented. And what you realize is that those patients could be your mother, or our grandfather. It is not just about healing the wounds. It’s about healing the patients who have the wounds. The patients need hope, they want to see progress – and if we can help the nurse deliver that and began to feel confidence themselves, we can deliver better results and better outcomes in our wound care practices – and heal these precious patients! To learn more about the latest developments in wound imaging and view a demonstration of this powerful tool to improve patient care, e-mail me: gary@medcomplianceIQ.com.